The Topsfield Rail Trail is a “Linear Common” following the former Danvers to Newburyport rail line, which was officially abandoned in 1981. A plaque at the trailhead in downtown Topsfield details the former railroad’s history.The trail connects to the Danvers Rail Trail as part of the greater Border to Boston Trail. 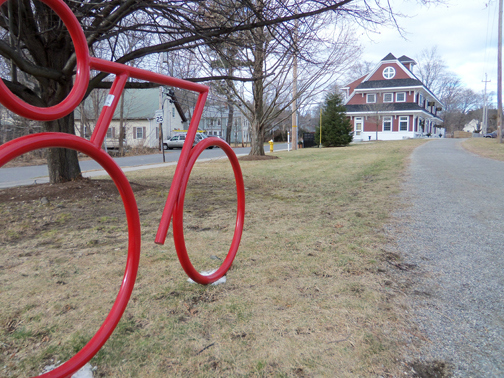 Topsfield voters approved the rail trail at the May, 2008 election and defeated trail opponents in their effort to block construction of the trail at the town meeting that year. Starting from the parking lot in downtown Topsfield, the trail soon crosses Rt. 1, then Rt. 97 and the Ipswich River near Perkins Row, On the left you’ll see a short foot path on the left that takes you to the Grand Wenham Canal, also known as the Salem-Beverly Waterway Canal. The Grand Wenham Canal starts at the Ipswich River near the Topsfield Linear Common bridge over the River. 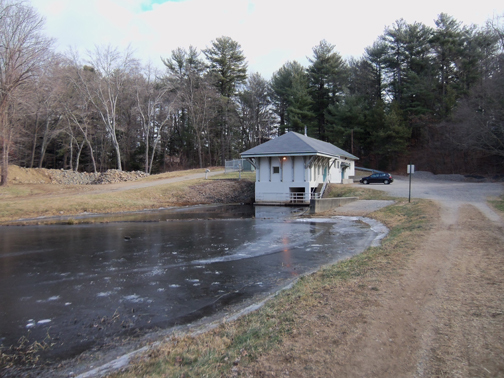 The canal was completed in 1917 under a Massachusetts “Act to Provide an Additional Water Supply for the Cities of Salem and Beverly” and transports water from the Ipswich River to Wenham Lake. 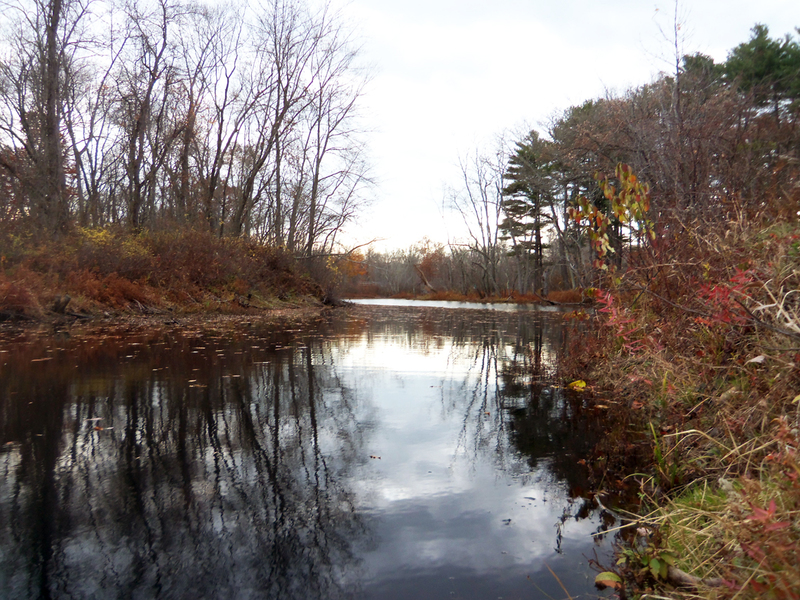 The far side of the canal has several channels that drain into the surrounding Great Wenham Swamp, which covers over 2,500 acres from Danvers to the Ipswich River Sanctuary. 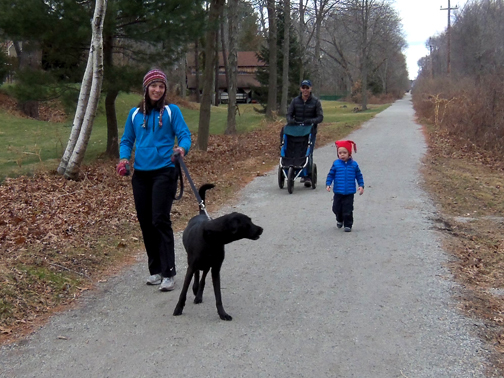 The right side of the canal provides a wide and sunny path to the pumping station on Old Town Road in Wenham. You can return from Wenham to the Topsfield Linear Common by taking a pleasant paved path along the entire length of Cherry Street. It connects to Mass Audubon’s Cedar Pond property and passes the “first-period” Newman Fiske Dodge house built in 1658. Continue on the sidewalk along Rt. 97, with a view of the Topsfield Hills that can easily be mistaken for a low mountain range in the distance. 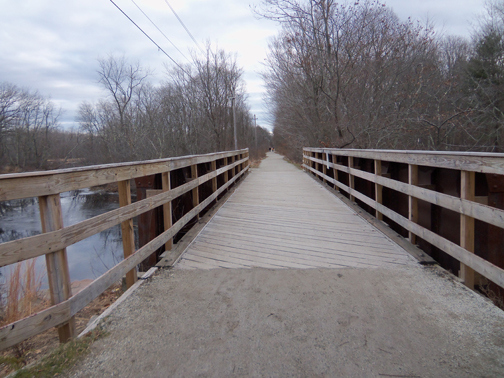 The Topsfield and Danvers rail trails meet a short distance ahead. A new bridge was built over the canal this year, allowing walkers and cyclists access to both sides. A paved walkway follows Cherry St. in Wenham to Rt. 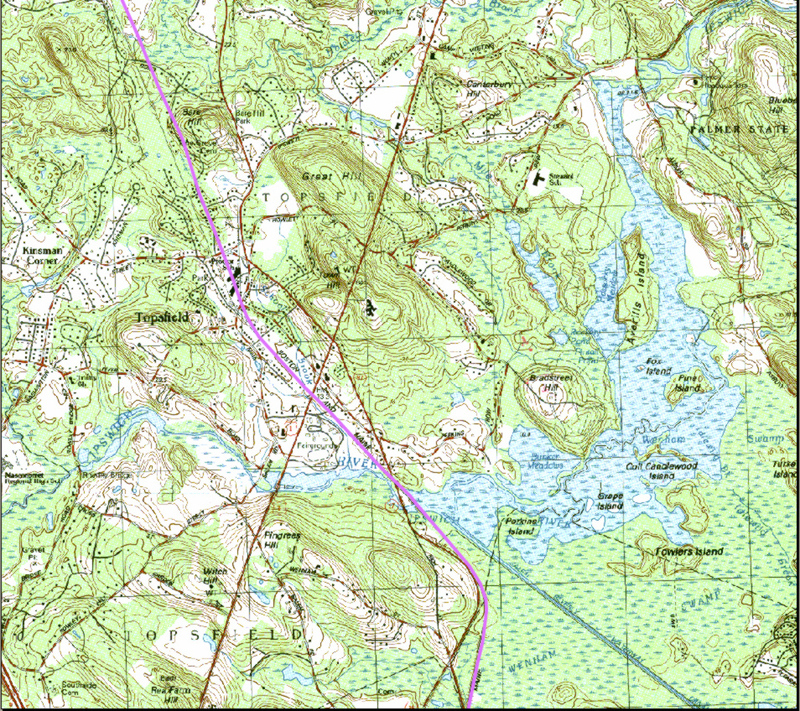 97, about a half mile from where the Topsfield and Danvers rail trails cross. 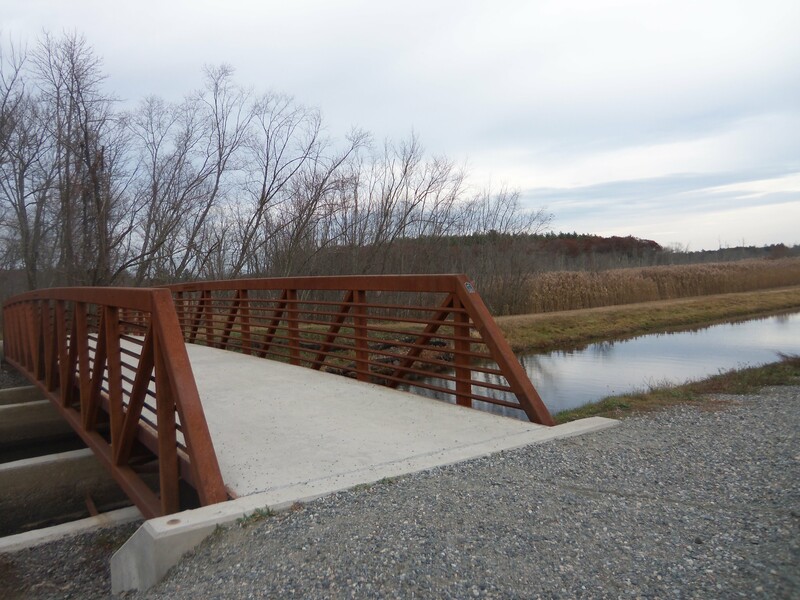 The Topsfield Linear Common connects with the Danvers Rail Trail and the Independence Greenway in Peabody, providing a beautiful 30-mile round trip that passes alongside the Wenham Canal and through the Great Wenham Swamp. The three trails will be part of the Border to Boston Trail, which will be within the East Coast Greenway.